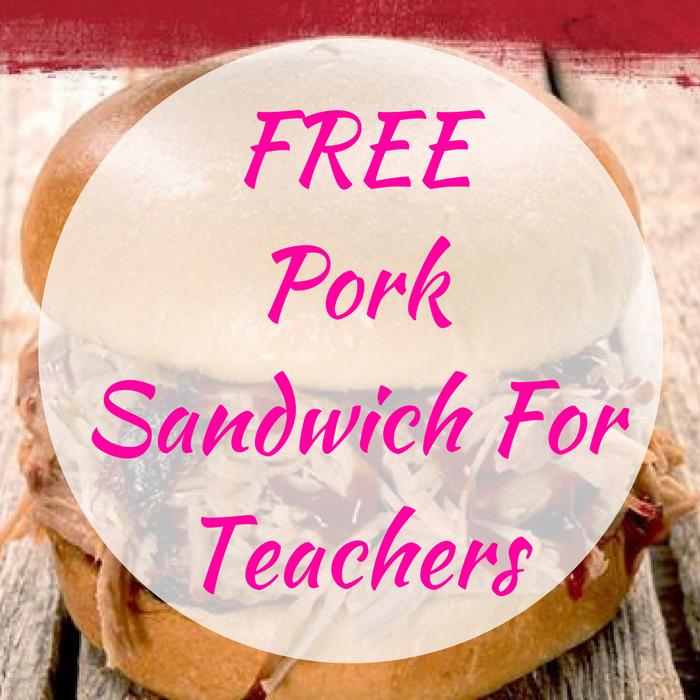 FREE Pork Sandwich For Teachers! You are here: Home / FREEbies / FREE Pork Sandwich For Teachers! On August 28 only! Head over to Sonny’s BBQ where they are offering a FREE Pork Sandwich For Teachers in honor of Teacher Appreciation Week! Just simply present your valid teacher ID to get your FREEbie! Nice!